San Miguel Corporation, makers of the famous San Migue Beers, bought 49% shares of the country’s flag carrier, Philippine Airlines. 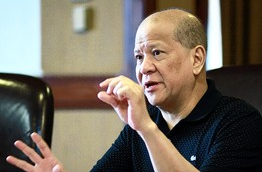 The said takeover is just part and parcel of the beverage giant’s president, Ramon Ang, plans to not just improve Asia’s first airline but to join in and improve the country’s tourism infrastructure. Ang knows his business as he was a pilot and engineer during his heydays. His company infused the floundering airline with US$500M fresh money and transform it to become the country’s premier airline once again. If you want to join in the fun in developing the country’s tourism industry and be inspired in the process, read Mr. Ang’s interview with the Philippine Daily Inquirer and take a peek in his plans for the nation and its ambitious tourism plans before President Noynoy Aquino steps down as president of The Philippines. Previous Post Mabuhay and Welcome!